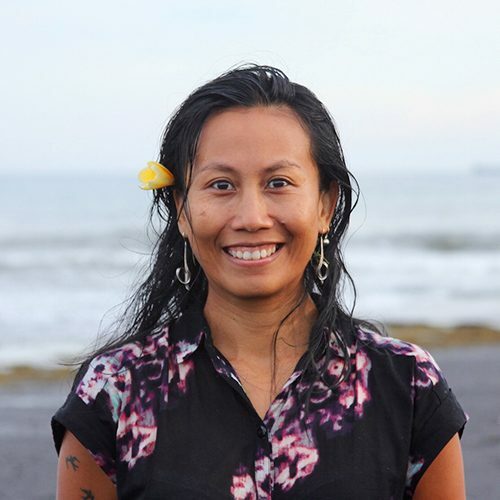 An Indonesian woman, an Anthropologist who has experience doing qualitative research and community empowerment project around the country and abroad. With her strong art discipline, cultural understanding and community life experience, she is good at facilitating different types of workshops and forums with various groups: communities, women, youth, indigenous, international, and events in mostly social cultural areas. Professionally she works as a consultant for social development project, working with local groups, national NGOs, government, as well as for international aid agencies. Since moving to Bali, over two years now she is focusing on social and environmental movement as a core principla of Global Ecobricks Alliance www.ecobricks.org. Also exercising and working on different kinda of regenerative designs and moband her friends, including Tunjung Crystal Mandala and Kusumorini Susanto, created a group called Mukabumi, an open creative space for learning – sharing – experimenting regenerative initiatives and technologies. Since 2015 she has been an active Jedi of Ecobrick movement, spreading the principles-knowledge-method within the country. She has been into spirituality since at very young age. The call has led her to travel the world, but now she is very happy to be part of Tunjung’s works.